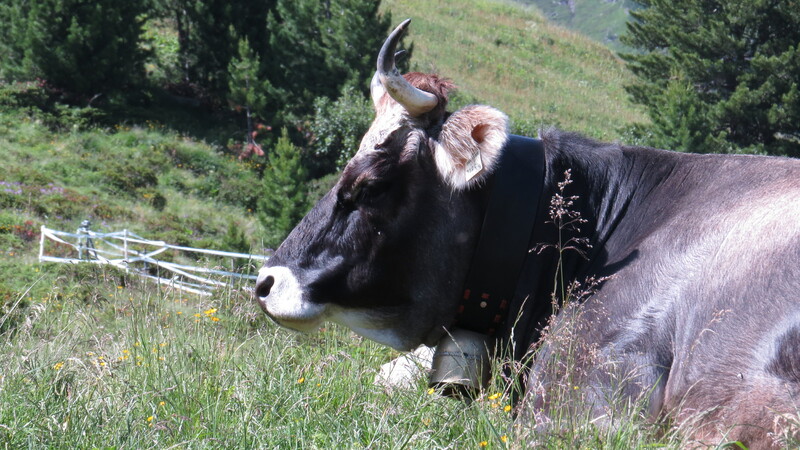 Dear Readers, I was awoken this morning by the sound of cow bells. 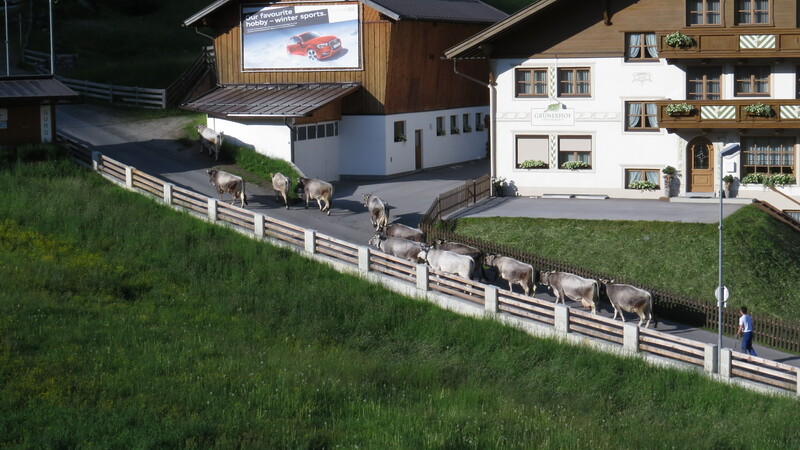 I looked out of the window to see this small herd of Tyrolean Grey Cattle being driven out to pasture. During the night, they live in this barn, right in the middle of the village. Then, every morning they return to the pastures that at this time of year are full of wild geranium and birdsfoot trefoil, buttercups and daisies. 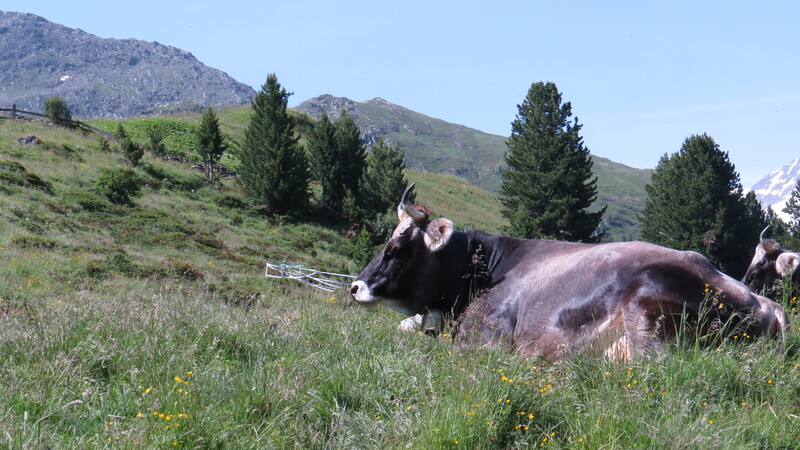 They are a most handsome breed, and an endangered one: there are only 4000 Tyrolean Grey Cattle left, which is unfortunate as they are hardy and self-sufficient creatures, and can thrive during the short season and extreme conditions of the Alps. 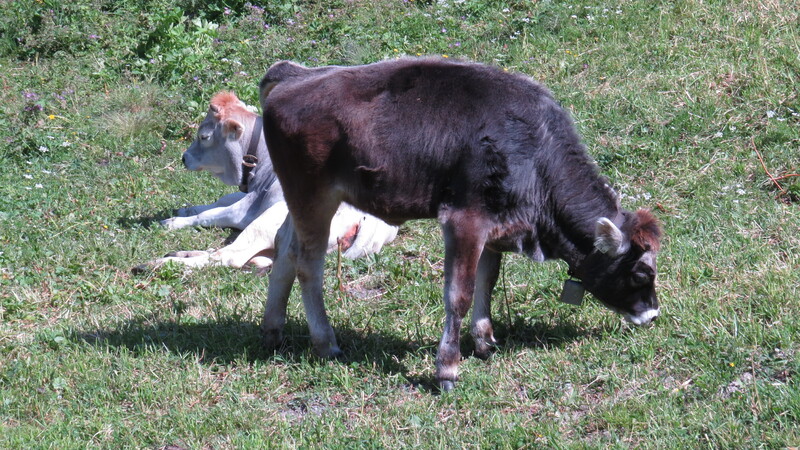 Furthermore, they have been around for over a thousand years, grazing these very pastures. They are phlegmatic beasts, and if they are sitting in the middle of a path chewing the cud you will most certainly have to tiptoe around them, as there is no way that they are getting up. Indeed, why should they? They are too busy making milk and putting on weight, for these cattle are used both for the dairy products that they provide, and for their meat. 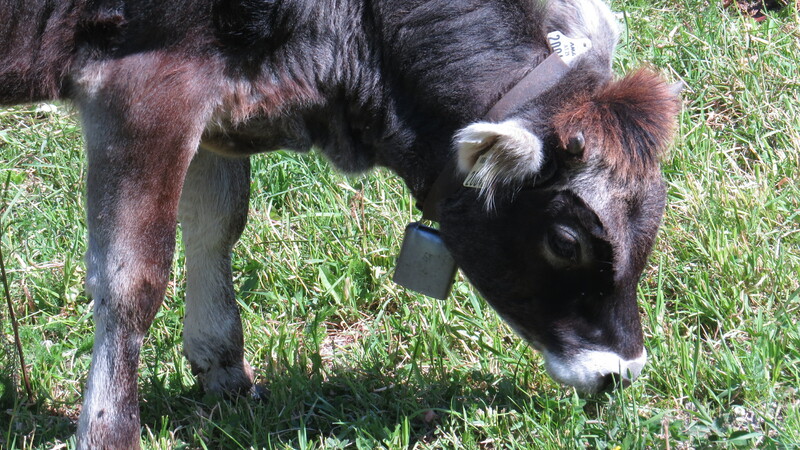 The calves come in a variety of colours, from darkest charcoal to cream, but all have a rather attractive ginger topknot. I can’t help but think that the life that these cattle lead is as close to ideal as it can be for a domestic animal – the freedom to wander, the company of others, a warm place to sleep and a fine herbal pasture to graze. I only wish that the other creatures that we eat could enjoy the same conditions, rather than the hell of a factory farm or a feedlot. If we choose to kill in order to eat, it seems to me that the least that we owe those who feed us is a decent life, even if it costs us more financially. After all, the cost to the animal is everything that they have. 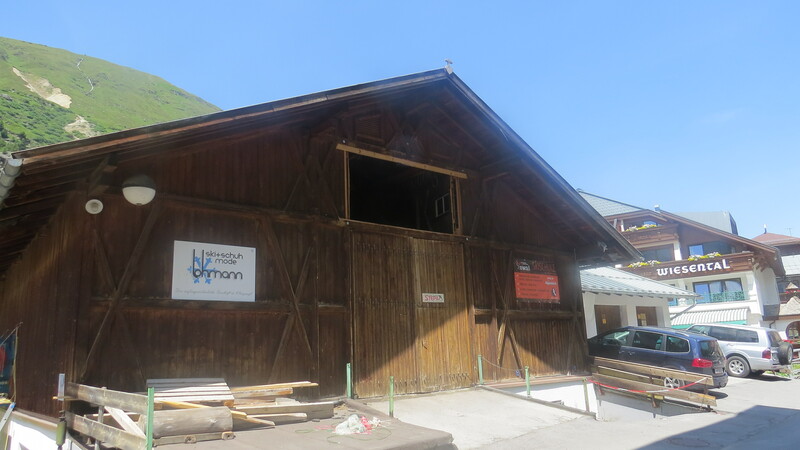 This entry was posted in Bugwoman on Location on July 5, 2015 by Bug Woman. Wonderful photos and profound observations. Thank you.